Injuries come in all shapes and sizes, but no matter what the other details are, you deserve compensation when your injury is someone else’s fault. A Spokane injury attorney can help you get what you’re owed. When you’ve been injured, you’re not at your best. You’re hurt and probably dealing with property damage, medical bills, lost time at work, and other problems. Dealing with all that, you’re probably not equipped to take on the complicated and difficult task of pursuing compensation for your injuries—no matter how much you need the financial help. If your injuries were the result of someone else’s negligence, a Spokane injury lawyer with Craig Swapp & Associates can take the pressure off while you seek compensation. Brain Injuries – Common after motor vehicle accidents, brain trauma occurs when the brain bounces inside the skull. Injuries can range from concussions to traumatic brain injuries. Symptoms like memory loss often don’t show up immediately after an accident, so it’s critical that you seek medical attention right away. Spine Injuries – The force of impact can cause damage to your vertebrae and spinal column, which can lead to paralysis. Spine injuries are often permanent and life-altering. Paralysis, quadriplegia, and paraplegia are not uncommon. Broken Bones – Broken bones are common in slip-and-fall and motor vehicle accidents. Depending on whether the fracture was a compound, complete, or a hairline break, healing can take several months and may require physical therapy and rehabilitation. Severe Burns – Severe burns may result in death or severe scarring and disfigurement. They often involve multiple future surgeries. Countless accidents can result in an injury, and each case will vary. But as long as your injury was due to the negligence of another party, you have the right to file a personal injury claim to seek compensation for your losses. Motor Vehicle Accidents – You can file a claim for compensation against the driver of the taxi, bus, ride-share vehicle, or truck that caused your automobile accident. Motorcycle Accidents – You can file a claim against the driver of a motor vehicle when he or she is responsible for an injury inflicted while you were riding your motorcycle. Product Liability Accidents – You can seek compensation from the manufacturer, distributor, advertiser, or retailer of a faulty product that injured you. Premises Liability Accidents – You can file a claim against a property owner or manager who failed to ensure safe property conditions that resulted in your injury. Wrongful Deaths – You may be able to receive compensation if the negligence of another party led to the death of a loved one. In addition to the above case types, we have also handled dog bite injuries, construction accidents, and mass transit and aviation accidents. A lawyer from our firm will carefully investigate your case in order to strategize and determine who should be held accountable. We will deal with all the legal business so you can focus on healing without the stress and anxiety of dealing with your claim. Over the course of your pursuit of compensation for your injuries, you are likely going to have to deal with an insurance company. Don’t be surprised when you find the insurer is reluctant to give you a settlement that truly covers what you need. That’s because, at the end of the day, insurance companies are for-profit businesses concerned with the bottom line. Any money they give you detracts from that. Insurers are likely to try to make you a low initial settlement offer, but you don’t have to settle for less. A Spokane injury attorney can negotiate with the insurer on your behalf to get you the compensation you need. When a negligent person or organization is responsible for your injuries, you have the right to pursue compensation. Dealing with the aftermath of an injury is hard on your body and your wallet, but you can take action today to ease the financial burden. 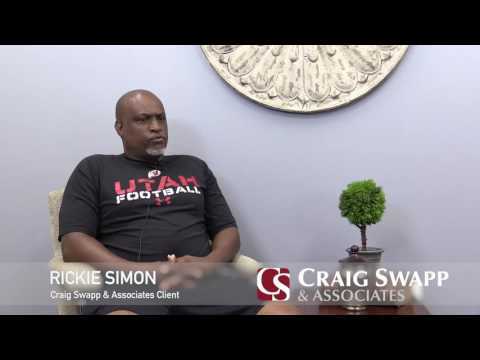 A Spokane injury lawyer with Craig Swapp & Associates can help you get a full and fair settlement while you stay focused on recovering. To get started, give us a call at 1-800-404-9000 or complete our online form below.